By Keith Cowing on October 31, 2017 11:58 PM. "U.S. Sen. John Thune (R-S.D. ), chairman of the Senate Committee on Commerce, Science, and Transportation, will convene a nominations hearing at 10:00 a.m. on 1 November, 2017, to consider four nominations subject to Senate confirmation." By Keith Cowing on October 31, 2017 11:09 PM. "Orbital ATK ... announced its commercial Minotaur C rocket successfully launched 10 commercial spacecraft into orbit for Planet. The Minotaur C launched from Vandenberg Air Force Base, California." "Minotaur-C (Minotaur Commercial), formerly known as Taurus ... Three of four launches between 2001 and 2011 ended in failure." By Keith Cowing on October 30, 2017 1:40 PM. By Keith Cowing on October 29, 2017 2:15 PM. "A small, recently discovered asteroid -- or perhaps a comet -- appears to have originated from outside the solar system, coming from somewhere else in our galaxy. If so, it would be the first "interstellar object" to be observed and confirmed by astronomers. This unusual object -- for now designated A/2017 U1 -- is less than a quarter-mile (400 meters) in diameter and is moving remarkably fast. Astronomers are urgently working to point telescopes around the world and in space at this notable object." By Keith Cowing on October 27, 2017 10:11 PM. "U.S. President Donald Trump intends to nominate Michael Griffin, a former administrator of the National Aeronautics and Space Administration, as principal deputy undersecretary of defense for acquisition, technology, and logistics, the White House said on Friday." Where Are All The Women In These New Space Companies? By Keith Cowing on October 27, 2017 1:00 PM. Keith's note: I just got this advertising email from Axiom Space titled "The Promise of Human Spaceflight for Investors" bragging about Axiom being featured in lots of high visibility magazines. The email is slick, with nice portraits of the Axiom team - the faces they apparently want investors, the public, and the news media to see. I am certain that everyone is highly skilled, etc. But as I scrolled down this very long email something struck me: its all 50-something males. After eight of their smiling faces scrolled by there was a single woman - at the bottom of the list. Eight males, one female. I guess this is the optics that Axiom Space wants to put forward for their vision of the future human spaceflight. I asked Axiom about this. Amir Blackman replied "Other than the two founders, all team members are listed in alphabetical order. Gender is not a consideration in our hiring process. We are an equal opportunity employer and seek out team members based on their qualifications and experience." Right. Like I said eight males, one female. Here is a larger version of their email (I thought I'd give them some free PR). By Keith Cowing on October 27, 2017 11:40 AM. "NASA will soon set a new date for the maiden flight of its massive Space Launch System rocket, which will send the Orion spacecraft on a test flight around the Moon. Previously, this flight had been scheduled for 2018, but NASA officials acknowledged earlier this year that the launch date would slip into 2019." By Keith Cowing on October 26, 2017 8:26 PM. "The consolidation in the SRM industrial base has also been accompanied by a decrease of suppliers throughout the supply chain. For example, one SRM manufacturer estimated a decrease in suppliers, from approximately 5,000 to 1,000, over the last 20 years. This increases the risk of production delays and disruptions in the event that key components and materials available from a single source become unavailable from that source. GAO found that DOD and industry are taking steps to identify and mitigate these risks, such as by establishing alternative sources and requiring advance notice when suppliers are considering exiting the market." By Keith Cowing on October 26, 2017 3:11 PM. "Despite our different political parties I am convinced Bridenstine will lead the brilliant scientists, engineers, technicians and outstanding personnel at NASA as it embarks on a new era of space exploration and scientific discovery. He fought for our country on the battlefield and fought for common-sense space policy in Congress. Now is the time for Jim Bridenstine to take command and grow NASA's capabilities and American leadership in space as NASA administrator." "Bridestine's public remarks suggest that his current understanding of Earth science is largely informed by politically-charged skeptics of climate change research. Given that Bridenstine would enter into the Administrator position with no formal science education, it is particularly important that members of Congress test his ability to differentiate science from politics." "As a United States Representative from Oklahoma, I have led efforts to improve severe weather prediction and I have come to appreciate how complex Earth is as a system. NASA must continue studying our home planet. Unfortunately, Earth science sometimes gets pitted against planetary science for resources. This is not in the best interest of NASA, the United States, or the world. Mars once had a magnetic field, rivers, lakes, and an ocean on its north pole. At some point, Mars changed dramatically and we should strive to understand why. Studying other planets can inform our understanding of Earth. NASA must continue to advance both Earth science and planetary science for the benefit of mankind." "In a letter today to the Senate Committee on Commerce, Science, and Transportation, Assistant Democratic Leader Patty Murray (D-WA) urged her colleagues to oppose the nomination of Representative Jim Bridenstine (R-OK) to serve as Administrator of the National Aeronautics and Space Administration (NASA)." Keith's note: Nearly all of this letter has to do with issues that have almost nothing to do with NASA. The incendiary quotes noted in Murray's letter were not even made by Bridenstine but instead by other people. Murray is not on the committee and is the only senator who has signed this letter. Meanwhile letters of support for Bridenstine are circulating in Congress and among industry representatives. The hearing will consider 4 nominees - Bridenstine and three Commerce Department officials. As such the time for questions for each nominee will be limited. Sen. Nelson is expected to bring up environmental issues and question Bridenstine's qualifications. Support from Sen. Cruz and Sen. Inhofe (who will introduce Bridenstine) is expected. There will also be support from Democratic members of the committee. In the end Bridenstine has the support and the votes to be confirmed by the Senate as the next Administrator of NASA. By Keith Cowing on October 25, 2017 12:17 PM. By Keith Cowing on October 23, 2017 4:24 PM. "Likely the most famous graduate of Harborcreek High School, NASA astronaut Paul J. Weitz has died in Flagstaff, Arizona after a difficult battle with a form of cancer known as MDS or Myelodysplastic Syndromes. Weitz flew into space twice. He served as pilot on the crew of Skylab-2, which launched on May 25 and ended on June 22, 1973. It was the first manned Skylab mission, and activated a 28-day flight, a new world record for a single mission." By Keith Cowing on October 23, 2017 12:06 PM. Keith's note: Despite fears that NASA will be muzzled when it comes to climate change - as has been observed at other agencies - NASA seems to be staying the course - for now. Keith's update: More silencing of climate scientists at EPA. "The Environmental Protection Agency has instructed two of its scientists and one contractor not to speak as planned at a scientific conference Monday in Providence, R.I., sparking criticism from some academics and congressional Democrats. The conference marks the culmination of a three-year report on the status of Narragansett Bay, New England's largest estuary, and the challenges it faces. Climate change features as a significant factor in the 500-page report, which evaluates 24 aspects of the bay and its larger watershed. The organizers intend to present a 28-page summary report of their findings in a news conference Monday." By Keith Cowing on October 20, 2017 10:26 PM. "I have reviewed the findings of the independent review team and have accepted them. As a result, I believe reductions in scope and complexity are needed. I am directing the Goddard Space Flight Center to study modifying the current WFIRST design, the design that was reviewed by the WIETR, to reduce cost and complexity sufficient to have a cost estimate consistent with the $3.2B cost target set at the beginning of Phase A." By Keith Cowing on October 19, 2017 8:41 PM. Keith's note: Once or twice a year someone does a space poll that says the same things that all of these space polls always say: people like space. Of course, this poll will be cited by those who see validation for their stances on space and will be ignored by those whose viewpoints are not strongly supported. Based on the press release (that's all that has been released) you can pretty much project whatever you want upon the poll and also extract whatever you want from it. We have no idea who paid for this poll, who the pollsters talked to, how they did the poll (phone, writing) or all of the questions the participants were actually asked. So ... your mileage may vary. Yawn. By Keith Cowing on October 19, 2017 5:44 PM. By Keith Cowing on October 19, 2017 4:04 PM. - The approach makes it difficult to assess progress against cost and schedule baselines. SLS and EGS are baselined only to the first test flight. In May 2014, GAO recommended that NASA baseline the programs' cost and schedule beyond the first test flight. NASA has not implemented these recommendations nor does it plan to; hence, it is contractually obligating billions of dollars for capabilities for the second flight and beyond without establishing baselines necessary to measure program performance. - The approach has dual-hatted positions, with individuals in two programmatic engineering and safety roles also performing oversight of those areas. These dual roles subject the technical authorities to cost and schedule pressures that potentially impair their independence. The Columbia Accident Investigation Board found in 2003 that this type of tenuous balance between programmatic and technical pressures was a contributing factor to that Space Shuttle accident." "NASA regularly balances available funding with the flight manifest within the context of the Agency's overall exploration objectives. NASA's programmatic decisions are based on optimizing acquisition stratedes and resource allocations (material, people, funding) across multiple missions to ensure efficient implementation of deep space exploration objectives that take several flights to accomplish. NASA believes it has the processes in place to provide stakeholders insight to cost, schedule, and risks that accord with ESD's nature as a multimission space transportation infrastructure. Cost estimates and expenditures are available for future missions; however, these costs must be derived from the data and are not directly available. This was done by design to lower NASA's expenditures. NASA docs not think that structuring acquisition and implementation to ease accounting on a mission-by-mission basis is prudent as it would result in higher overall program costs and is not in keeping with the nature of the program." By Keith Cowing on October 19, 2017 11:35 AM. "In the 4 years since issuance of our IT governance report and the 3 years since completion of its own internal review, the Office of the Chief Information Officer (OCIO) has made insufficient progress to improve NASA's IT governance, casting doubt on the office's ability to effectively oversee the Agency's IT assets. Specifically, the NASA Chief Information Officer (CIO) continues to have limited visibility into IT investments across the Agency and the process NASA developed to correct this shortcoming is flawed. Despite these efforts, the OCIO's insight into and control over the bulk of the Agency's nearly $1.4 billion in annual IT funding remains limited ... this lack of authority and visibility over the majority of the IT budget limits the Agency's ability to consolidate IT expenditures, realize cost savings, and drive improvements in the delivery of IT services. ... the Agency's current enterprise architecture remains immature after a decade-long effort, a situation that contributes to the undisciplined manner in which NASA makes IT investments. Moreover, despite changes to two of the Agency's three top-level IT governance boards, IT managers across the Agency remain unsure of board functions and their decision making processes and the boards have yet to make strategic decisions that substantively impact how IT at NASA is managed. In addition, as of August 2017 the roles and responsibilities associated with NASA's IT governance structure have not been finalized by the OCIO - one of the most basic and critical pieces of the Agency's Business Services Assessment (BSA) Implementation Plan. ... Lingering confusion about security roles coupled with poor IT inventory practices continues to negatively impact NASA's security posture. ... Finally, the OCIO continues to exercise limited ability to influence IT management within the Mission Directorates and Centers due to the autonomous nature of NASA operations and the office's lack of credibility on IT issues in the eyes of its customers." By Keith Cowing on October 17, 2017 7:44 PM. Keith's update: Sources report that Bridenstine's confirmation hearing will be on 1 November. 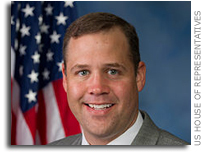 Keith's update: Still no word as to when the confirmation hearing for NASA Administrator nominee Rep. James Bridenstine will be held. There has been no change to this nomination status page for Bridenstine - nor is there any update to this matrix of pending nominations or on the hearings calendar for the Senate Committee on Commerce, Science, and Transportation. A date in the last week of September had been penciled in but this was pushed back 2 weeks so that Sen. Nelson and others could deal with a backlog of hurricane-related issues. Since then things have been delayed further. Sen. Rubio still has issues that seem to point back to the 2016 primary season. Meanwhile Sen. Nelson is digging his feet in in terms of opposing Bridenstine and now wants to delay the confirmation hearing indefinitely on the whole climate change issue. Meanwhile, Bridenstine has been at NASA Headquarters to start the confirmation preparation process. Headquarters veteran Tom Cremins and newcomer Brandon Eden (both with extensive Capitol Hill experience) are in charge of those confirmation hearing preparations. Continue reading Still Waiting For Bridenstine (Update). By Keith Cowing on October 17, 2017 5:18 PM. "A mission statement is vital for people to succinctly understand and fully comprehend the reasons for returning to the Moon. Ideally, a mission statement is a simple, declarative sentence, one that permits no ambiguity about intentions or execution. There is much truth in the belief that if you can't sum up your mission in just a few words, you probably don't understand it yourself. One's mission statement must encompass both anticipated activities and imply the value of its accomplishment." "Leaving aside the harsh realities of any country's political motivations to go to space, as a member of the astronomical community, it's hard not to feel like a passenger in the back seat of a car, watching an ongoing struggle over the steering wheel. Having the vision for our space program remain agile and responsive in a changing science and technology landscape is one thing, but it bears remembering that if all we do is pivot, we'll never get anywhere." By Keith Cowing on October 17, 2017 9:49 AM. Keith's update: Former Space Foundation CEO Elliot Pulham died the other day. He was diagnosed with brain cancer in September and had emergency surgery. Elliot was only 62. Details to follow. By Keith Cowing on October 13, 2017 5:03 PM. "For Post columnist David Von Drehle, NASA's renewed focus on human space exploration is "unnecessary" and "a dead end." I fundamentally disagree with this assessment. 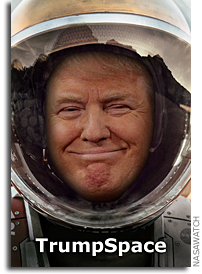 I was excited to see President Trump ensure that the United States remains the leader in space by reestablishing the National Space Council. Under the leadership of Vice President Pence, the council held a meeting last week for the first time in nearly 25 years, announcing a distinct objective: promote a clear U.S. space policy and enact the reforms necessary to strengthen American leadership in space. Von Drehle's argument against human space exploration boils down to three main questions, and I'd like to address each of them." Keith's note: Sigh. Marillyn Hewson's pro-human spaceflight op ed response to the anti-human spaceflight op ed by David Von Drehle is as formulaic and uninspired as Drehle's is ignorant and incorrect. Of course Lockheed Martin is going to support whatever NASA wants to pay them to do and of course they are going to plug their product line (Orion, SLS, Mars Base Camp). One would hope that the reason we explore and utilize space involves more than just the whims of big aerospace parroting back NASA's old talking points. Continue reading Looking Backward And Forward In Space. By Keith Cowing on October 12, 2017 11:52 PM. By Keith Cowing on October 12, 2017 9:05 PM. "Russia's seven-ton Progress MS-07 tanker will be carrying a secret, a previously unseen instrument attached to the exterior front section of the spacecraft. NASA has no idea what it is. NASA specialists spotted the unknown gizmo in official photographs of the Progress ship released during mission preparation. Since then, a number of pictures documenting the work on Progress MS-07 in Baikonur also showed the unidentified device, indicating that Russian authorities aren't really keeping it secret. But when NASA asked about the hardware, Russian officials said only that it would be a scientific payload intended for a one-time trip aboard the cargo ship. They provided no further details." "Launch of the Russian Progress 68 cargo craft has been scrubbed for today. The next launch attempt will be no earlier than Saturday Oct. 14 at 4:46 am EDT (2:46 p.m. local time in Baikonur)." By Keith Cowing on October 12, 2017 10:43 AM. By Keith Cowing on October 10, 2017 9:22 PM. By Keith Cowing on October 10, 2017 11:42 AM. "A 2012 report from NASA's inspector general estimated the costs of building a new mobile launcher then at $122 million, but a new structure expressly for the larger Block 1B rocket to be used for the second flight of the SLS rocket would almost certainly cost more. Additionally, If NASA builds a new mobile launcher, the modified one now being configured for the first SLS flight would likely be used just once--a waste of infrastructure that cost perhaps half a billion dollars and more than a decade of development." By Keith Cowing on October 10, 2017 9:53 AM. By Keith Cowing on October 9, 2017 4:20 PM. "Pence indicated the Council will meet again in 45 days to review all those efforts, hence the deadline. That's a challenging goal, but conveys a sense of urgency to make decisions. That could be tied to budget schedules since the administration is currently crafting the FY2019 budget request. By law, budget requests are supposed to be submitted to Congress on the first Monday of February so the FY2019 request should be sent to Congress on February 5, 2018. If the Space Council meets again in 45 days, there would still be time to influence the FY2019 request." "Pence said the council's meeting was a "very good start" for a re-examination of America's space policy. But not everyone agreed. Keith Cowing, the editor of NASA Watch and a longtime commentator on space policy, said in a blog posting that the proceedings were "scripted and predictable." Former space shuttle program manager Wayne Hale said in a tweet that the meeting offered "bold talk ... but we've heard it before." "What counts will be resources ($) and long term commitment," Hale said." "Overall, this meeting indicates that the Trump administration is likely not going to do much to drain the swamp that presently dominates our space effort. Trump's interest in reducing regulation remains strong, but it also appears he and his administration is also strongly committed to continuing the crony capitalism that is wasting literally billions of dollars in space and helping to put the nation into unrecoverable debt." 1. Big aerospace companies said that they'd be happy to do whatever the government will pay them to do. 2. Commercial space companies didn't ask for a handout and will be doing other things - with their own money. 3. Military space discussion was hampered because much of what is going on is classified and cannot be discussed in an open forum. 4. Earth and space science - no one talked about that. 5. Pence says America needs to lead in space again - even if it is still leading in space - already. And no that's not the official logo. But they need one. By Keith Cowing on October 9, 2017 2:06 PM. "Still, a human traveler to Mars should make the most of its airless monotony, because there is no coming back. The long passage through the vacuum of space will expose astronauts to intense and prolonged bombardment by cosmic rays and unimpeded solar radiation -- a death sentence for which NASA has no solution (though scientists continue to seek one). At the Hotel Mars, you can check out any time you like, but you can never leave. What's more, Mars is a dead end. As fatally desolate and brutal as Mars is, our neighbor planet is the most habitable destination for many, many light years in any direction." Keith's note: I'm rather surprised that the Washington Post would print such an error-riddled opinion piece - and devote half a page to it. Its take on the whole 'why fly people in space when we can fly robots' rant is breathtaking in its ignorance. And, for what its worth, I find it ironic that the Post, whose space reporting is otherwise quite stellar, is owned by Jeff Bezos who is a clear adherent of the notion of opening space up to as many people as possible. But these anti-human space flight opinions are not exactly uncommon. One of the hotbeds of these sentiments is the Planetary Society. This video "A space engineer explains why humans will never go past Mars" was just posted by Business Former Planetary Society Executive Director Lou Friedman parrots the anti-human spaceflight mantra: "Louis Friedman, an aerospace engineer and author of "Human Spaceflight: From Mars to the Stars," believes that humans may never travel past Mars. The former head of The Planetary Society says technology will replace exploring humans." Recently, as he sat in the audience waiting for Elon Musk to talk about his plans for space exploration - including Mars, current Planetary Society CEO Bill Nye said "no one wants to colonize Mars" and then explained why. In 2014 Planetary Society Senior editor Emily Lakdawalla‏ tweeted "The highs and lows of the last week remind us why the future must be in robotic, not crewed, space flight." Just to be clear on this, in 2015 Lakdawalla wrote "This is one of many reasons I'm glad that The Planetary Society is advocating an orbit-first approach to human exploration. If we keep our filthy meatbag bodies in space and tele-operate sterile robots on the surface, we'll avoid irreversible contamination of Mars -- and obfuscation of the answer to the question of whether we're alone in the solar system -- for a little while longer. Maybe just long enough for robots to taste Martian water or discover Martian life." In their summary of the recent National Space Council meeting Casey Dreier and Jason Davis from the Planetary Society tried (like the rest of us) to figure out what America's new space policy would be. They noted "Through its Humans Orbiting Mars workshop and report, The Planetary Society found great value in sending humans to Mars in terms of scientific return, searching for life, and challenging our technological capabilities. How these objectives will fit into a revamped human exploration program for either the Moon or Mars is still unclear." Its hard to reconcile what Dreier and Davis write with what Nye, Friedman, and Lakdawalla have said. At best, the Planetary Society's take on human exploration (Mars in particular) is 'look but don't touch' which is in direct contrast to the path NASA has been taking - and the path that the current White House has clearly stated that it intends to follow. Keith's update: Just to be clear: I used to work for NASA as a space biologist and I fully appreciate the issue and challenges of planetary protection. Also, I think that orbiting Mars initially to do recon and telerobotics is a perfectly fine approach with historical precedents - so long as it is done in preparation for human landings - not instead of human landings. By Marc Boucher on October 9, 2017 10:48 AM. This past week I interviewed Keith on the SpaceQ podcast. We discussed Jim Bridenstine and NASA, Elon Musk and SpaceX, and Lockheed Martin and Mars. By Keith Cowing on October 8, 2017 8:46 PM. "Let's get right to it. Understanding the dynamics of our Earth, including disasters like hurricanes and droughts, has never seemed more important. As if on cue, we have a confirmation hearing for the NASA Administrator nominee coming down the pike. Is President Trump's nominee, Representative Jim Bridenstine (R-OK), the right fit?" "Marco Rubio and Bill Nelson have already lobbed objections to Jim Bridenstine, President Donald Trump's pick to head NASA. Now, more than 30 Florida scientists signed a letter to the state's U.S. senators, urging them to outright reject Bridenstine when he comes up for confirmation. Among the criticisms that scientists around the nation have voiced about Bridenstine is that he has said that he doesn't believe humans are causing climate change. "We find it troubling that Congressman Bridenstine has repeated misinformation in his quest to deny climate change, notably in 2013 when he suggested that global temperatures were not rising," the scientists write to Rubio and Nelson. "Climate and weather are intertwined and while we know that Congressman Bridenstine has publicly expressed desire for better weather prediction capabilities, we cannot predict weather events if we ignore emerging trends." "Both Nelson and Rubio have blasted Trump's choice, but neither has said whether they will vote against Bridenstine. In their letter, the scientists pointed out that Bridenstine has no formal science education. And while he serves on the House Science, Space, and Technology Committee, he has no experience running such a large agency and no experience with scientific research. A former Navy pilot, he once ran Tulsa's Air and Space Museum." By Keith Cowing on October 5, 2017 6:23 PM. Keith's note: You probably saw my complaints about not being credentialed for the National Space Council meeting today. Well, the Vice President's office called late this afternoon to apologize for the fact that I had not been credentialed. They were very nice about this. As often happens with large events here in Washington, DC, my name fell through the cracks. FWIW very, very few people here in DC ever admit making a mistake. Even fewer ever make a point of calling to apologize. By Keith Cowing on October 5, 2017 5:11 PM. "While NASA Centers are required to use SMS to track their supply and material inventory, we found that five of nine are instead using stand-alone inventory control systems or other NASA systems to manage their flight inventory, including spare parts. These non-SMS systems contain over $252 million worth of flight inventory. As a result, Headquarters' Logistics Management Division's visibility into flight assets across the Agency and its ability to accurately account for flight inventory Agency-wide is limited and inconsistent." By Keith Cowing on October 5, 2017 5:09 PM. "Representatives from commercial space launch companies and spaceports GAO interviewed described advantages and disadvantages of moving the Office of Commercial Space Transportation to the Office of the Secretary of Transportation, but most of them favored moving the office. Conversely, most Federal Aviation Administration (FAA) officials GAO interviewed did not favor the idea. A senior official in the Office of Commercial Space Transportation said that there are advantages and disadvantages to moving the office and that whether such an action would be beneficial depends on the implementation details and the administration's preferences. Officials from the Office of the Secretary of Transportation said they currently do not have plans to move the office." By Keith Cowing on October 5, 2017 2:50 PM. By Keith Cowing on October 5, 2017 12:58 PM. By Keith Cowing on October 4, 2017 11:11 PM. "We will refocus America's space program toward human exploration and discovery. That means launching American astronauts beyond low-Earth orbit for the first time since 1972. It means establishing a renewed American presence on the moon, a vital strategic goal. And from the foundation of the moon, America will be the first nation to bring mankind to Mars. ...To achieve these goals, the National Space Council will look beyond the halls of government for insight and expertise. In the coming weeks, President Trump and I will assemble a Users' Advisory Group partly composed of leaders from America's burgeoning commercial space industry. Business is leading the way on space technology, and we intend to draw from the bottomless well of innovation to solve the challenges ahead." "Inspired by all that has come before, and guided by clear objectives, today we set a new course for America's space program. We will give NASA a new focus and vision for future exploration. We will build new ships to carry man forward into the universe, to gain a new foothold on the moon, and to prepare for new journeys to worlds beyond our own." "President Bush proposed today that the United States establish a base on the Moon, send an expedition to Mars and begin ''the permanent settlement of space.'' In a speech celebrating the 20th anniversary of man's landing on the Moon, Mr. Bush made the first major commitment by a President to these ambitious goals and set the stage for the first full-scale debate in years on the nation's troubled space program." Keith's note: The distance between Apollo 17 and Bush 41's pronouncement was 17 years. The distance between Bush 41's speech and Bush 43's speech was 15 years. The distance between Bush 43's speech and Pence's is 13 years. The gaps between these grand proclamations shortens by 2 years each time one is offered, but are we any closer to sending humans back to the Moon or on to Mars? I was in the audience for the Bush 41 and 43 events. I was a teenager when we landed on the Moon in 1969 and we were told that we'd be on Mars by 1981 - when I'd have been 26. Now we're told that we won't be on Mars until the 2030s when I will in my 80s. Why should anyone believe these White House predictions? By Keith Cowing on October 4, 2017 9:58 PM. Keith's 5 Oct update: The Vice President's office just called to apologize for me not getting credentialed for today's National Space Council meeting. They were very nice and, as happens with large events here in DC, my name fell through the cracks. FWIW very, very few people here in DC ever admit making a mistake and even fewer ever apologize. Keith's 4 Oct update: I followed all the rules that the White House laid out for media asking to attend and cover this event and cc:ed NASA on the email I set them - yesterday. I never heard back. They are now hand-picking which news media can cover their events and which ones cannot. Not a good sign. At least there's a webcast for the rest of us who won't be allowed to attend. Keith's 3 Oct note: Last week the White House issued a short press release stating that "the first meeting of the National Space Council is scheduled for October 5, 2017 at the Steven F. Udvar-Hazy Center in Chantilly, Virginia. The meeting, titled "Leading the Next Frontier: An Event with the National Space Council," will include testimonials from expert witnesses who represent the sectors of the space industry: Civil Space, Commercial Space, and National Security Space." I had to dig around but there was a White House media advisory issued today. The event will be streamed online on NASA TV and via Whiteouse.gov starting around 10:00 am. The event itself is only 2 to 2.5 hours long (not mentioned on the advisory). Even though I live 11 miles away I most likely won't be going since NASA stopped issuing formal laminated press credentials more than a decade ago and I am self-employed i.e. I'd have to make my own press badge at Kinkos or something - and that usually gets you an interview with government security people at events like this in DC. I have followed the process laid out by the White House press office with a cc: to NASA and am waiting for a reply. There is nothing online anywhere to suggest that the public can attend this event so it looks like it is going to be an expensive photo op with only a select few actually in attendance listening to pre-written statements being read before the cameras. The expense of taking over a large portion of a busy museum seems to be for the purpose of providing impressive backdrops for a meeting that is mostly show and little substance. By Keith Cowing on October 1, 2017 8:46 PM. This page is an archive of entries from October 2017 listed from newest to oldest. September 2017 is the previous archive. November 2017 is the next archive.